It is estimated that one million people visit the emergency room each year after experiencing a slip and fall accident. Both the reasons and results of these falls can vary. Someone may slip on a wet floor and sustain a broken bone. Someone else may trip over a crack in the sidewalk and receive a large gash to their knee. In the worst cases, a slip and fall can result in death. While the causes of a slip and fall accident can vary widely, there are causes that tend to be the most common. Here are five of them. The National Floor Safety Institute says that 55 percent of all slip and fall accidents are caused by issues with walking services. What does that mean? It means that a surface may be wet, or it could be uneven. It could be cracked, or it could be warped. Cluttered floors and torn carpeting are also risky. Outdoor slips and falls can frequently be caused by hazardous weather conditions. Rain, ice and snow can all make the ground difficult to walk on. If people notice that a sidewalk or driveway has not been cleared in the winter, despite the property owner’s requirement to do so, it is advisable to avoid that area. As we age, we often lose our ability to balance properly. This increases our chances of slipping and falling, no matter the surface. When attendants and other medical staff don’t properly monitor their residents, slips and falls become a risk. Just under 25 percent of slip and fall injuries are caused by the wearing of improper footwear for the purpose. Walking in heels, wearing slippery-soled shoes in the rain, and flip-flops no matter the time of year are not always the best idea. Think about what you will be doing before you choose your shoes for the day. Some people find it surprising that about 3 percent of slip and fall reports are about accidents that never really occurred at all. The NFSI says that there are some claimants who set up their own falls in order to sue businesses, and others that simply fake a fall to get out of responsibilities like work or school. If you or a loved one has suffered a slip and fall accident in Charlotte, you may be entitled to compensation for the damages you have suffered. Reach out to our team of attorneys and schedule an appointment for a free case evaluation today. From icy parking lots to wet floors, there are a variety of reasons that people find themselves unable to stay on their feet. Slip and fall accidents result in a number of civil lawsuits every year. In fact, these lawsuits are so common that you may know someone who has either filed a claim or thought about it. With so many stories out there regarding slip and fall lawsuits, it can be difficult to separate fact from fiction. Here are the top myths surrounding these lawsuits. Sure, accidents happen. If you want to avoid ever being injured, you would have to put yourself in a bubble and never leave your home. Just because “accidents happen,” you shouldn’t assume that you don’t have a case after you have fallen. If you were injured on someone else’s property, and the owner of that property was negligent in maintaining the safety of their property, you have a right to compensation for your injuries. There was a warning sign. We’ve all seen wet floor signs. These yellow warning are meant to tell us to slow down and watch our step. What they aren’t meant to do is negate a lawsuit. There is a difference between placing a wet floor sign on a freshly mopped floor, and putting on near a spill that is never attended to. Your physical injuries may be minor, or they may not have occurred at all. You don’t have to have apparent physical injuries to be able to file a lawsuit. You may be injured in such a way that you are unable to enjoy normal day-to-day activities. You might have a disruption in your social life. An attorney can advise you in cases such as these. I don’t have any evidence. When people slip and fall, they rarely think to stop and collect evidence. It is natural to be embarrassed when you fall down, and collecting bits of evidence to use in a future lawsuit is the last thing on your mind. This is true if you are injured as well. Your first thought is undoubtedly getting help for your injuries. You don’t have to have collected mounds of evidence to have a successful lawsuit. Some are under the misconception that they can sue whenever they like. This is not true. Every state has a statute of limitations that dictates how much time you have to file your lawsuit. The statue of limitations varies from jurisdiction to jurisdiction. If you have even a thought of possibly filing, you need to consult with an attorney right away. If you have been injured in North Carolina, give us a call today. We will advise you of your options at no cost to you during your initial consultation. It never hurts to speak to an attorney, even if you ultimately decide that filing a lawsuit is not in your best interest. Call us today. Slips and falls occur every day in the workplace, in the retail industry and even on private property. Some falls are due to environmental hazards, and other accidents are due to a lack of balance or attentiveness. While you can’t prevent every fall or injury, there are things you can do to reduce your chances of taking a tumble. If you exercise regularly, add a few moves that will increase your ability to balance. If you don’t exercise regularly, now is the time to start. Movements that focus on balance, strength and gait can help you stay on your feet. Look for tai chi, yoga or even kickboxing classes. Walking regularly is also a great way to stay fit and improve your balance. Some medications can have a negative impact on our ability to maintain proper balance. If your medication is causing you to have headaches, experience dizziness or make it hard to maintain your balance, speak with your doctor. You may be able to have your dosage lowered or switch to a medication that works better with your body chemistry. Effective fall prevention often starts with ensuring that slip and fall hazards are removed from the environment. Whether at the workplace, in the home or on your property, eliminating these hazards can help to ensure that people are less likely to fall. Pick clutter up off of the floor, make sure rugs are secure and update your lighting if necessary. Things like this can go a long way to making sure your employees or family is safe. Other things that you can do to prevent falls is to wear properly-fitting, flat shoes, keep your eyeglasses or contacts prescription current, and stay alert while you are walking. If you believe that your workplace presents hazards that can be eliminated, speak with your supervisor. Preventing falls is not always in your control but reducing your risk is. If you or a loved one has been injured in a slip and fall injury in Charlotte, call our office. We will review the details of your accident and advise you of your options. Call now for assistance. A winter storm dumps inches of snow and ice on your property. You want to stay huddled under a quilt with a cup of hot coffee in your hand. Is it a good idea? Not if you don’t want to be hit with a personal injury lawsuit. If someone slips and falls on your property because you have failed to clear it, you could very well find yourself in court answering for your lack of motivation. Here’s what you need to know. 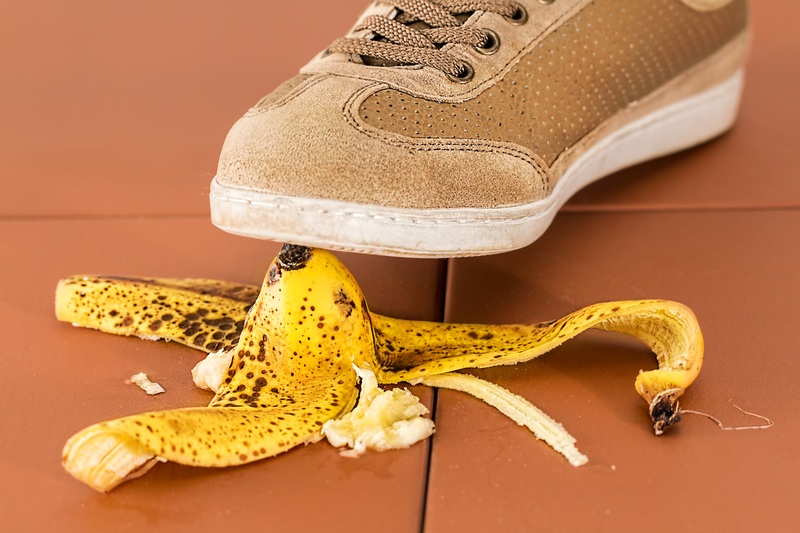 When someone does slip and fall on your property, one of the first questions that will run through your mind is, “Who’s responsible?” The answer to that question is not always clear cut. In all actuality, it depends on where the accident occurred. If you own a home, you are expected, by law, to make a reasonable effort to maintain clear walkways. That means that you have to put your cup of coffee down, crawl out from under the quilt and shovel your sidewalks. If you live in an apartment, condominium or other rental property, you may not be responsible. Take a good, long look at your lease agreement. Typically, your landlord is responsible for snow and ice removal. At times, you may rent a house and yard maintenance as your responsibility may be written into your lease. Check carefully. So how do you protect yourself? The first thing you need to do is get to know your local laws. Find out who is responsible for your snow removal. The next thing you should do is determine if you are able to clear your walkways yourself, if you are required to do so. If you cannot, you need to make arrangements to have it done for you. Not being physically able to remove snow and ice may not be a good enough defense if someone is hurt on your property. If you have any questions as to snow removal and your responsibilities, you can contact your local government offices to find out more. Your insurance agent can also be a great source of information. If someone is injured on your property or you are injured on someone else’s property, you need the help of an experienced attorney. Call our offices today for assistance. We will review the details of your case for free and answer any questions you may have. Call now. There is a cold nap that has settled across much of the nation, prompting people in northern states and the Midwest to stock up on food, water, and other goods due to anticipated snow fall. People in Charlotte do not have to frequently deal with these issues but, as cold blankets the greater portion of the nation, it’s important to remember that inclement winter weather can occur, even in North Carolina. The question that arises in many people’s minds is this: If someone slips on ice that has collected on your sidewalk, driveway, or even parking lot, who is held liable? Unfortunately, the answer to that question is not always clear cut. In North Carolina, and many other states, either party may be held responsible for injuries sustained in a slip and fall accident that has occurred due to inclement weather. Ultimately, it is up to a jury to decide the outcome of the case as there is no clear law. A jury may rule in your favor or in favor of the injured party. In some cases, it is decided that a reasonable person who knows that there is snow and ice covering the ground understands that prudent care should be taken while walking across pavement. In other cases, it is determined that a property owner had ample time to prepare his or her property for pedestrians. This includes, but is not limited to, shoveling or otherwise clearing the snow, laying down salt to melt the ice, and/or posting cautionary signs to alert pedestrians of unsafe conditions. What does this mean for home and property owners? To protect yourself, keep a close eye on weather reports during the winter months. If snow is forecasted, have a plan in place that includes clearing snow and ice from your property. If you will not be able to clear the snow and ice, set out signs warning people of the possible danger. And for pedestrians? 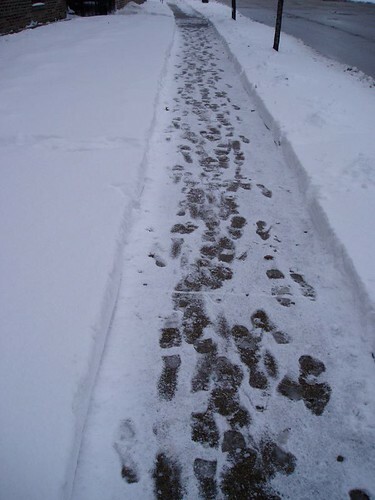 Take due care when walking through parking lots and across sidewalks when winter weather strikes. Walk slowly, pay attention to the ground, and wear proper footwear. Seek medical attention if you feel it is necessary should you slip and fall. Even if you don’t sustain any obvious injury, you can easily pull muscles, tendons, and ligaments. If you fall, and you are able to do so, take pictures of the area. Winter weather can change quickly, especially in North Carolina’s temperate climate. Having photographs of the area where you fell can help your case should it be taken to court. Write down contact information for any witnesses to your fall. If you have been the victim of a slip and fall accident on public or private property, the personal injury lawyers at Auger & Auger are here for you. We will work hard to get you the compensation that you deserve. Call us today for a free consultation and let us discuss the details of the event with you. We will be happy to tell you if we believe that you have a case. Call now!